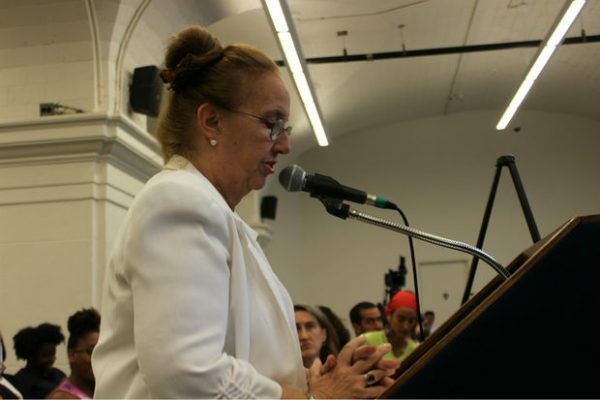 EAST HARLEM — The mayor is ignoring El Barrio residents’ input on rezoning the neighborhood, Manhattan Borough President Gale Brewer charged Wednesday afternoon. “Despite our clear recommendations, the administration is not taking the community’s plan seriously,” said Brewer during a public hearing on East Harlem’s proposed rezoning. After a two-year process in which residents and local business owners came up with recommendations of what they’d like to see in the rezoning, city officials came up with their own plan that doesn’t include those recommendations, Brewer told the City Planning Commission.